Tucked away in the picturesque countryside overlooking the historic Jurassic Coast, Ladram Bay is the Devon seaside holiday park with something for everyone. 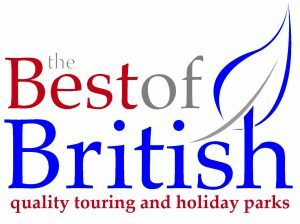 Previously voted by customers as the WINNER of Best Holiday Park in Britain, we are one of the largest, privately owned holiday parks in Devon. With a wide variety of holiday homes, you really are spoilt for choice. Choose to stay in one of our luxury lodges, seaview apartments or holiday homes, or in your own touring caravan or tent. Our breath taking location and extensive range of facilities will ensure your well-earned holiday is relaxing, fun and unforgettable. We have all the facilities on site that you could wish for – including the Three Rocks and Swimming pool complex boasting multi lane slide, toddler interactive splash area, Sauna, Steamroom and Jacuzzi. With a wide variety of kids and teen clubs there is something for everyone. As well as our own private beach including new for 2016 a fantastic refurbished seaview shack where you now enjoy comfortable seating whilst admiring the wonderful views. Or if your feeling more adventurous the Seaview Shack offers a range of hire items so you can take to the water and explore the coast line for yourselves. If you’d like to explore a little further afield there are beautiful coastal walks along the unspoilt Jurassic Coast, and an abundance of attractions and stunning countryside within easy driving distance of Ladram Bay. Located on the geologically important Jurassic Coast, Ladram Bay sits within one of the UK’s five UNESCO World Heritage Sites. A World Heritage Site is a place that is listed by the United Nations Educational, Scientific and Cultural Organization (UNESCO) as being of special cultural or physical significance.